KEC family feels utterly delighted for achieving Best Project Award in Young Scientists Summit 2017 in Engineering category for project entitled ‘Earthquake Emergency Management Services’. 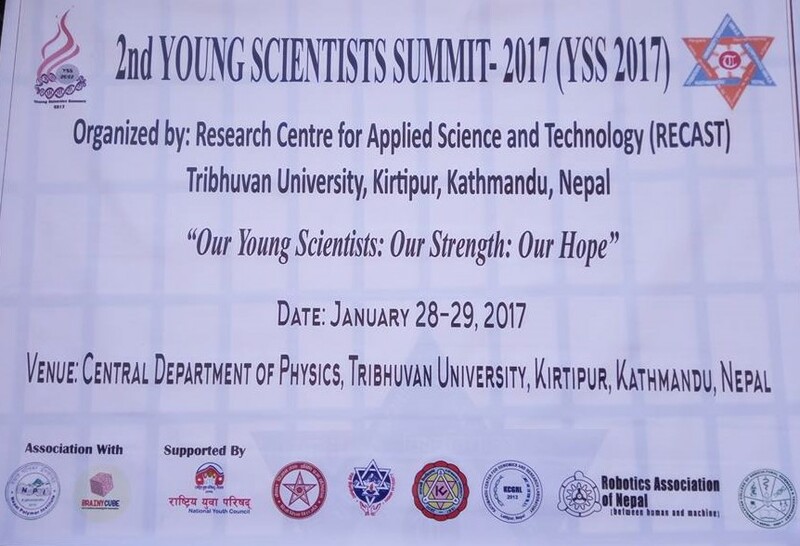 The summit was jointly organized by Research Centre for Applied Science and Technology (RECAST) – Tribhuvan University, Nepal Polymer Institute & Brainycube Research. Congratulations to the team members: Sijan Devkota, Phanindra Sapkota, Birat Pokhrel, Subhas Gautam and Prashant Kandel of 069 batch Electronics and Communication Engineering.